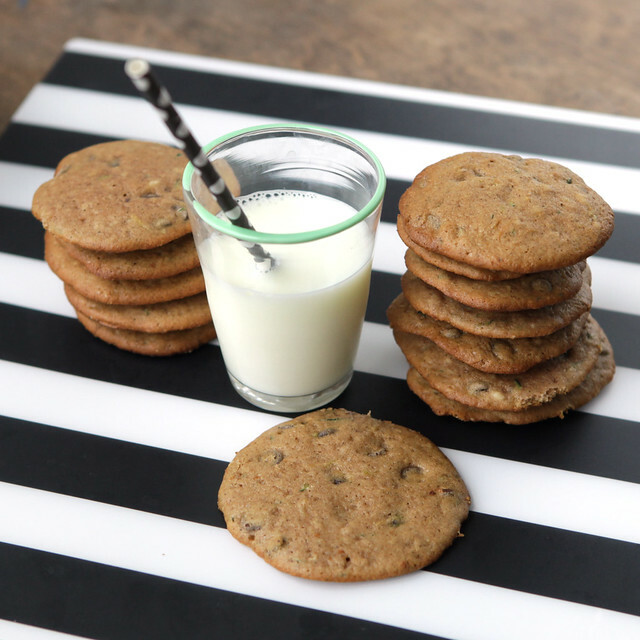 EASY to make Zucchini Chocolate Chip Cookies recipe. These cookies are crunchy and ready to eat in 15 minutes! They’re so good your kids won’t even mind the vegetables in their cookies! 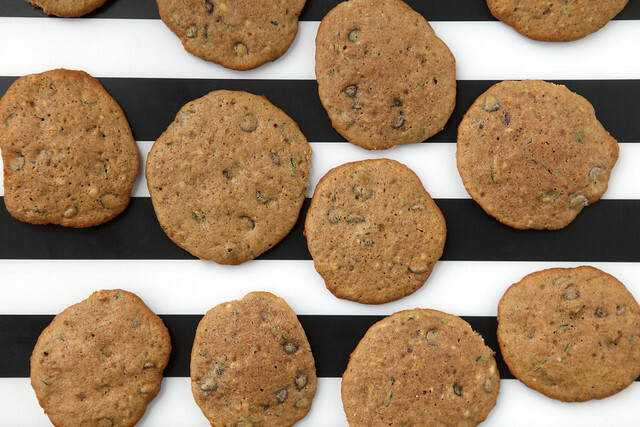 Hello Zucchini Chocolate Chip Cookies! 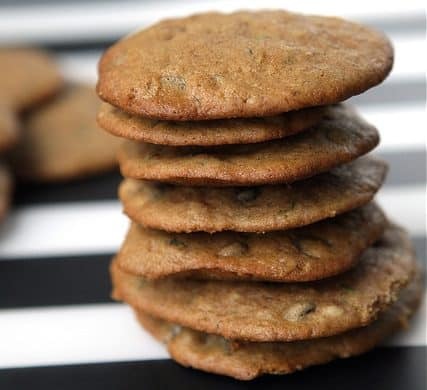 These are yummy chocolate chip cookies, but I like to consider them healthy because whenever I add a vegetable in they immediately should be declared healthy. Look ma, I’m eating my vegetables (wrapped up in brown sugar, butter and chocolate chips, but still..)! In all honesty though, they’re a great way to add a little bit of vegetable to your regular cookie! Did you know that you can bake with zuccchini? It’s true! 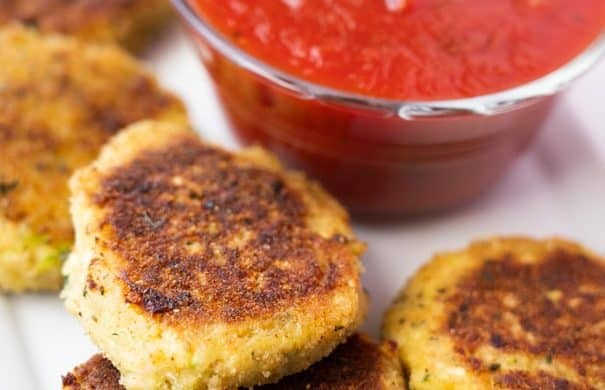 You can make these delicious zucchini cookies! You can also make zucchini bread! 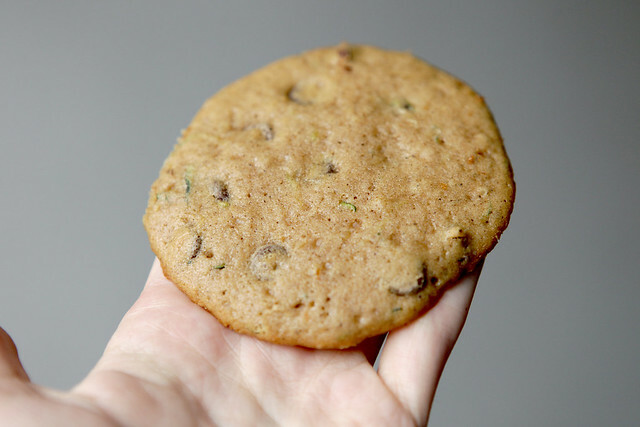 Also, I really love the appearance of these cookies because even though at first glance they look like regular chocolate chip cookies, when you look closer you can see the green specks of zucchini. I think they’re gorgeous! These chocolate chip cookies are crunchy and the entire family is going to love them! They’re easy to pack and go, sometimes I love taking 2 for the road for “breakfast on the go!”. Ingredients for these cookies are basic, you probably have everything you need in your baking cabinet already! The cookies have a little bit of cinnamon and cloves in them that gives them a touch of a taste of a Fall cookie. You’ll also need 1 cup of grated zucchini! This year I plan on lots of baking for holiday presents to friends and family. 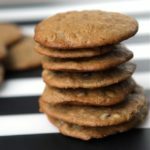 I have been looking for ways to ship baked goods the best way possible to prevent cookie breakage (and heart breakage). 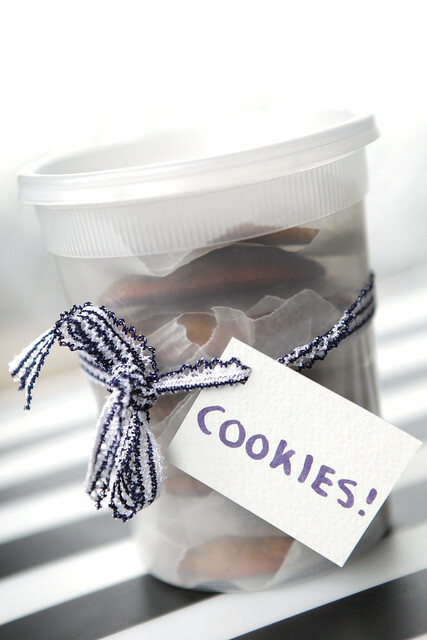 I found that if you use plastic pint containers (even better, just reuse your takeout pint containers after washing out) and layer each level with parchment paper, your cookies stay safe in the mail! I will be using this method for various sandwich pies and cookies during the holiday season. I hope you all enjoy these Chocolate Chip Zucchini Cookies! 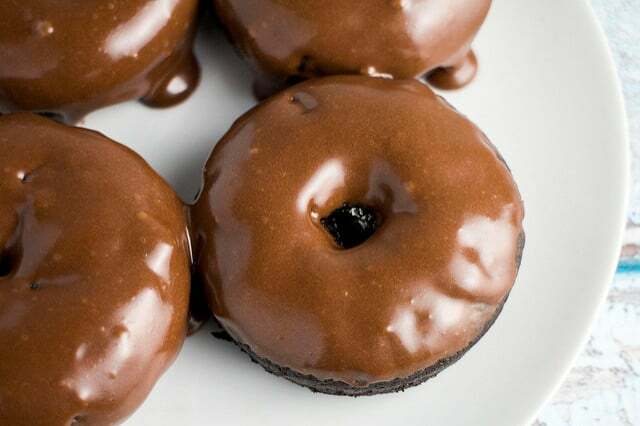 I dare you to only eat one! Ok, I dare you to only eat two. 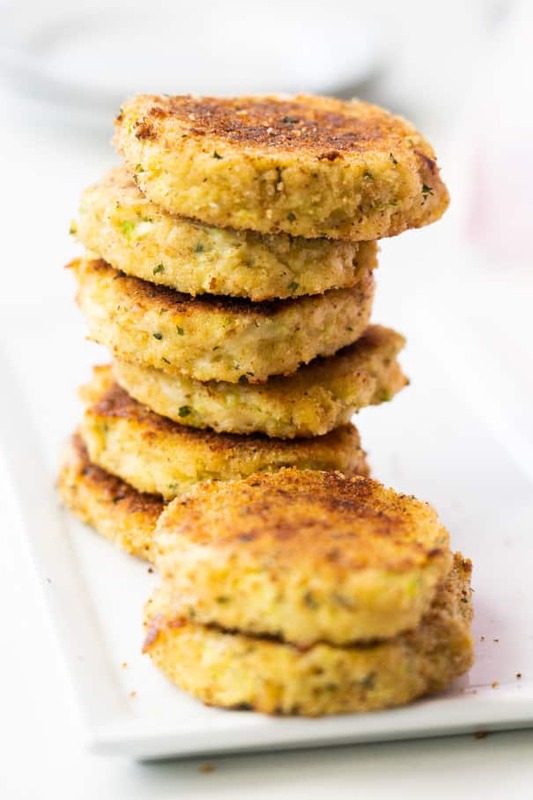 Looking for more zucchini recipes? Try my Zucchini Bread and Zucchini Tots recipe! 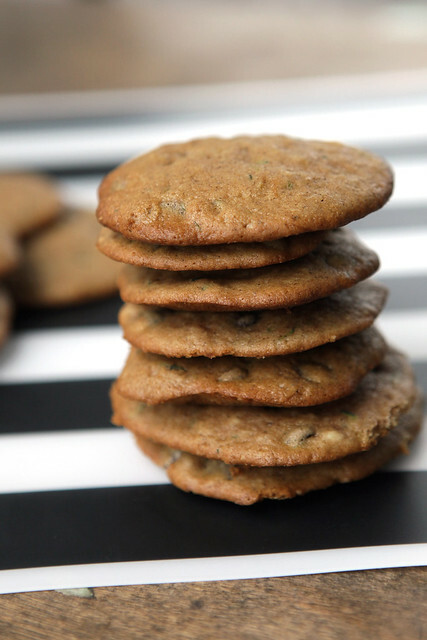 EASY to make Zucchini Chocolate Chip Cookies recipe. 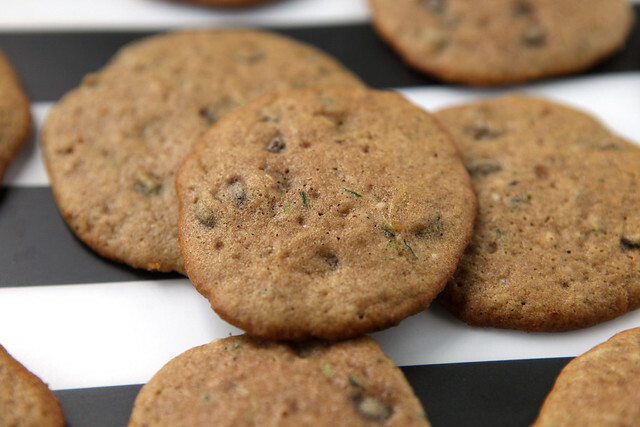 These cookies are crunchy and ready to eat in 15 minutes! They're so good your kids won't even mind the vegetables in their cookies! In a bowl stir together your butter and sugars until creamy. Add your egg and zucchini and stir to combine. Add flour, vanilla, baking soda, salt, cinnamon and cloves and continue to stir till everything is mixed good. Add your chocolate chips and stir. Drop cookie dough on parchment lined or greased cookie sheet. Bake for 11-13 minutes until bottoms are slightly browned. RECIPE for the BEST fluffy and moist Lemon Glazed Zucchini Bread! There’s 2 cups of grated fresh zucchini baked into this easy to make beautiful bread. On top there’s a lemon powdered sugar glaze frosting! Do you grow zucchini in the garden? If you do, you might be thinking “What new recipe should I try?”. 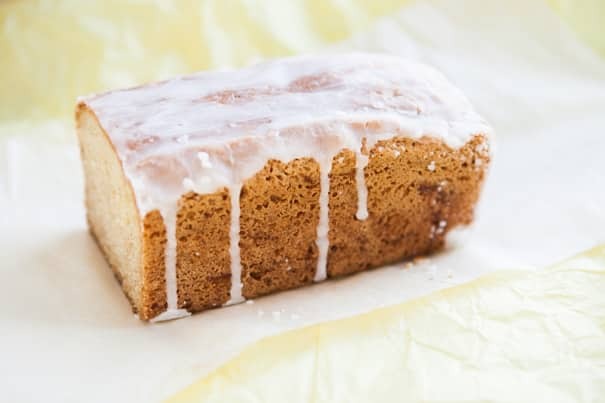 Well look no further, you need to make this Lemon Glazed Zucchini Bread!